The rapid growth of technology has connected us now more than ever. We are able to communicate with each other via phone call, text message, or social media at any point in the day. Unfortunately, many people continue to use technology even while they are operating a motor vehicle. It can be hard to put down the phone, but distracted driving is proving to be an increasing danger on the roads. The National Highway Traffic Safety Association (NHTSA) reports that distracted driving claimed 3,477 lives and injured 391,000 people in 2015 alone. 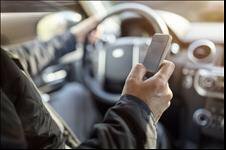 States are recognizing the threat distracted driving poses to the lives of drivers on the road and enacting laws accordingly. While no state has a total ban on cell phone use for all drivers, 38 states and the District of Columbia ban all cell phone use by novice drivers. Additionally, 21 states and D.C. ban all cell phone use for bus drivers. Other states, 15 states, D.C., Puerto Rico, Guam, and the U.S. Virgin Islands, to be exact, have placed a ban on hand-held cell phone use. This means that drivers can still use their phones but must use something like Bluetooth technology and bring the use of hands to a minimum while driving. All of these states and territories have this ban as a primary enforcement law which means a law enforcement officer may pull over a driver and ticket them for cell phone use. There is no need for another traffic offense to have occurred. One of the biggest distracted driving problems is texting. On average, sending or reading a texts will take your eyes off the road for 5 seconds. No big deal, right? Wrong. If you are driving at 55 mph, taking your eyes off of the road for 5 seconds would be like driving the length of a football field with your eyes closed. This is why 47 states, Puerto Rico, Guam, and the U.S. Virgin Islands have enacted a texting while driving ban. Of the 3 states that do not have this kind of texting ban, 2 disallow the use of text messaging by novice drivers while operating a vehicle. While laws can be deterrents for distracted driving and also help educate the public about the dangers of distracted driving, the only way we are going to keep each other safe on the road is to make a concerted effort to put down our phones and pay attention to the road.